LinkedIn profiles are often considered to be “new resumes.” It’s true, that if a professional fully fills out her LinkedIn profile, that profile works instead of a traditional resume, at least at the beginning stages of interviewing, at many companies. That is one of the innovations LinkedIn has brought into the area of recruiting, quite a game changer! However, please note that the resumes cannot be found using LinkedIn people search by any keywords that are only on the resume and not on the profile. LinkedIn Recruiter search won’t find them either. Recruiters: we’ll cover this (and much more!) at the sourcing webinar next week. Are you a job seeker? Note that pasting the resume text into the Description section accompanying the document won’t fix the ability for others to find that information either. LinkedIn doesn’t search in those descriptions. If you want to be found by keywords in that uploaded document on LinkedIn, paste them in the summary or experience sections. 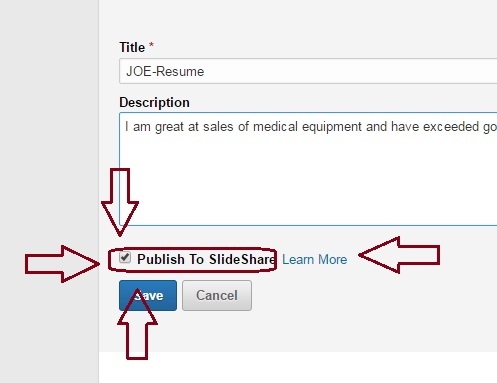 Slideshare Opt-out. It’s a shame if the member selects this option by unchecking the checkbox – assuming the member wanted to be found and was willing to share the resume with interested parties. 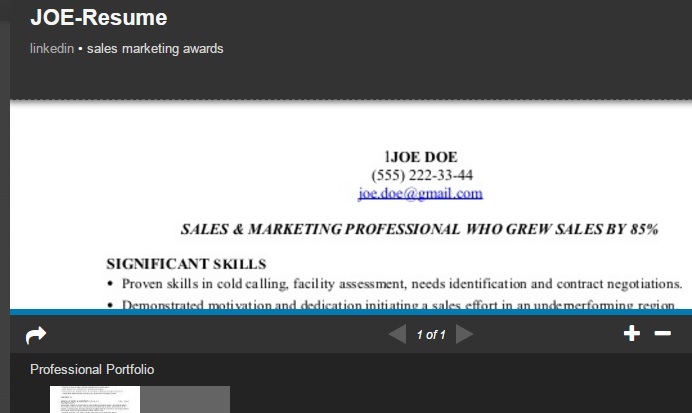 Believe it or not, the resume still goes to SlideShare in this case. (This is the correct answer to the question number one in the Sourcing Contest). However, if the member opts-out, the document does not go into the member’s SlideShare account, and he has no further control over this content being found in searching anywhere – on LinkedIn, SlideShare, or by search engines. 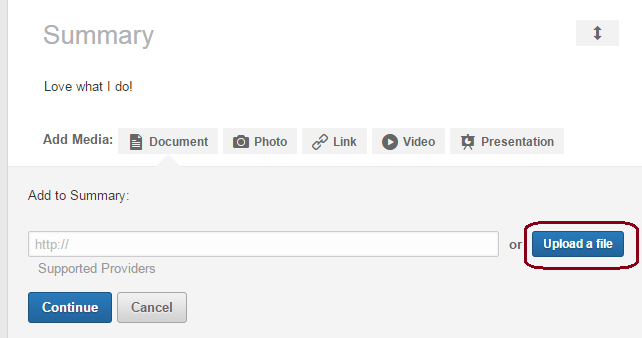 What happens then, is that, sometimes, Googlebot will pick the image preview. 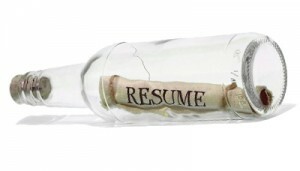 Recruiters: here’s a related post – Large Free Resume Database Hidden In Plain Sight. I must warn you though, that Google will index the content only of the “opted-in” resumes. I.e. we won’t find the image previews of the majority of “opted-out” resumes when searching by the job-related keywords. The story of the resume in the opt-out case is fascinating. I will share it in a post soon. As a reminder for Sourcers who like a challenge, there is still a big chance to win the Contest. Monday, October 24th, 2016 is the deadline, and the Grand Prize is worth a lot.